This exclusive white paper includes workplace safety requirements on operational topics such as: general safety and health provisions; occupational health and environmental controls; personal protection and life saving equipment; fall protection; cranes, derricks, hoists, elevators, and conveyors; motor vehicles, mechanical equipment, and marine operations; blasting and use of explosives; power transmission and distribution; stairways and ladders; toxic and hazardous substances; and more. 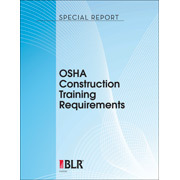 You’ll also get an overview of the OSHA construction training requirements, and the full text of the General Industry Training Standards applicable to construction training requirements. The exclusive white paper provides you with tools to provide effective occupational safety and health training to Hispanic workers. Job safety training between people of different languages and cultures can be done effectively — but all too often it isn’t. 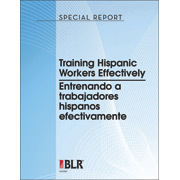 Download your copy of Training Hispanic Workers Effectively, and you’ll discover the practical steps you can take to make sure that your workplace training—on occupational safety or any other topic—is successful, even across cultural and language differences. 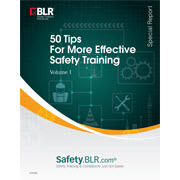 This practical safety training white paper will help you plan your safety meetings to meet OSHA training requirements. 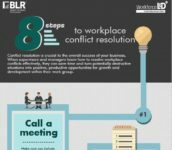 Get the pros and cons of different meetings types and different safety training formats. Learn how to customize your safety training for different audiences for the best results. 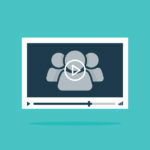 Learn how to use formal and informal meetings, audiovisual presentations, hands-on practice, demonstrations and professionally prepared training tools such as online safety training modules to get the best results from your safety training program. In this age of skyrocketing healthcare costs and the progressively deteriorating health of the average America citizen, there are similarly ample reasons and proof that an effective workplace wellness program will result in a healthy return. 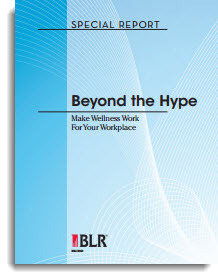 This exclusive whitepaper will provide you with information and tips on how to build a wellness program that not only with help reduce your healthcare costs, but also improve the productivity and morale of your workplace. 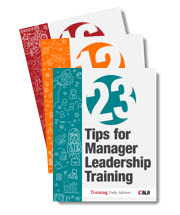 A manager’s goal is to reduce the time and money spent on a training program, while at the same time making sure the program will keep the company in compliance and safeguard employees. Training requirements can range form simple steps to complex procedures. This report examines the range of available training delivery methods, outlines training trends, including newer technology-based training methods and highlights the components of programs that have proven effective and provide cost savings. 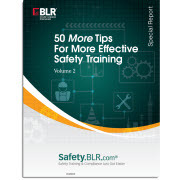 In Volume 2 of 50 Tips for More-Effective Safety Training, you’ll receive 75 pages of useful safety information broken down into three training sections. In Section 1 – Specific Operations Safety Training Tips, you will receive valuable safety tips on chemical hazards, pesticides and poison, electrical safety, forklift, ladder and scaffold safety, in addition to many other categories. Topics covered in Section 2 include training information on adult learners, audio conferences, diversity, follow-up training, self-paced training, and Web-based training. Section 3 – Special Event and Awareness Training Tips, will walk you through the calendar of special events like September’s National Preparedness Month and October’s National Fire Prevention Week. 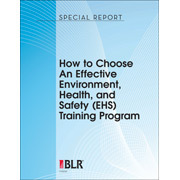 This exclusive white paper includes workplace safety training tips on operational topics such as: asbestos awareness, back safety, cold weather work, chemical labels, bloodborne pathogens safety, emergency action plans, emergency preparedness, ergonomics, fall protection, forklift safety, hand safety, hazardous waste operations, head protection, lockout/tagout, machine guards, material safety data sheets, OSHA, power tools, respirators, sexual harassment and safety, stress, and violence in the workplace. 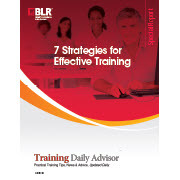 You also get “train the trainer” tips specifically for occupational safety trainers on subjects like successful toolbox talks or tailgate training, online safety training, multilingual safety training and more.